This chapter makes a review, in a complete methodological framework, of various global sensitivity analysis methods of model output. 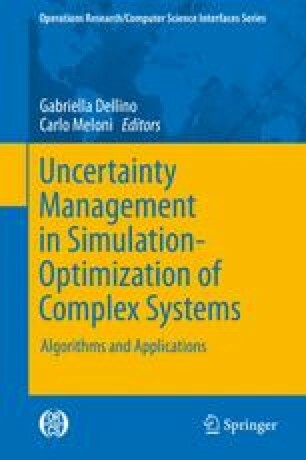 Numerous statistical and probabilistic tools (regression, smoothing, tests, statistical learning, Monte Carlo, …) aim at determining the model input variables which mostly contribute to an interest quantity depending on model output. This quantity can be for instance the variance of an output variable. Three kinds of methods are distinguished: the screening (coarse sorting of the most influential inputs among a large number), the measures of importance (quantitative sensitivity indices) and the deep exploration of the model behaviour (measuring the effects of inputs on their all variation range). A progressive application methodology is illustrated on a scholar application. A synthesis is given to place every method according to several axes, mainly the cost in number of model evaluations, the model complexity and the nature of brought information. Part of this work has been backed by French National Research Agency (ANR) through COSINUS program (project COSTA BRAVA no. ANR-09-COSI-015). We thank Anne-Laure Popelin and Merlin Keller for providing the cobweb plot and the flood model figure.